While visiting the TCSJohnHuxley booth at G2E last week, I played at the Lucky Draw Baccarat demo table. It’s a fun game that plays like midi-baccarat, where you can squeeze your draw card. 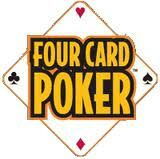 Each player wagers an initial bet, and receives their own 2-card starting hand. Everyone plays against the bank hand, whose first card is exposed. 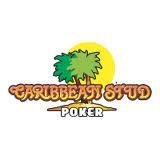 Each player may wager an optional 1x Draw bet to receive a 3rd card, or otherwise stand pat. After the action is complete, the banker reveals his hole card. The bank draws a 3rd card when his two-card total is less than five points. Otherwise the bank stands with 5 points or more. I analyzed the game to check the house edge, and to run EORs. The outcomes for an 8-deck shoe and optimal player decisions are listed below. The house edge for Paytable 1 is 1.79%, and 3.34% for Paytable 2. The basic strategy for the Paytable 1 game is shown in the table below. The computed single-card EORs for an 8-deck game with Paytable 1 are fairly low. Still, I checked the countability of an 8-deck shoe, assuming only 15 cards cut off the end. For the simple count below, the game gets advantageous only 3.2% of the time (count is +40 or better), and for an average of only +0.23%/bet. That’s essentially worthless. You might pick up some additional edge with indexed plays, or better yet, using a computer and full knowledge of shoe composition. But overall, this game is surprisingly uncountable, given the options and the odds on the Draw bet.